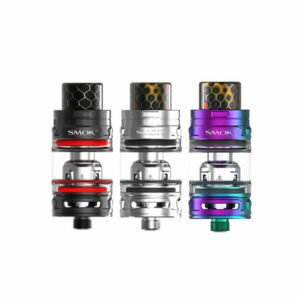 Smok are enjoying massive success with their baby tanks and they have taken the sub-ohm vaping to the next level. The TFV8 family has six versions of the Cloud Beast, including the game-changing TFV8 Baby X Tank. Top filling is a signature feature of Smok vape tanks but in the TFV8 Baby X, the airflow is also top positioned for great flavour, big clouds and less noise. SMOK are truly innovation-led and bring new perspectives to sub-ohm vaping. SMOK are another Vapestreams Team favourite with practical and elegant designs combined with extreme user-friendliness at an affordable price. Vapestreams is delighted to hold their products in stock and bring to you only the best, with orders over £20 qualifying free delivery.